Splash and sabino (the latter is present in almost all breeds) can cause blue eyes; anyone else out there have a horse with a blue/brown eye? nope. I have never seen this before….. Yes! My horse is a 15 yr old appaloosa/ paint mare. One of her eyes are perfectly blue, and the other is half blue, half brown! This is crazy! My newest addition is two years old and he has one blue eye and the other is half blue/half brown. It’s quite trippy! I have a part arab/appaloosa with one brown eye and one very normal light blue eye (sometimes referred to as a wall eye). My horse is a sold appaloosa with a bay coat, with white ticking similiar to some heavy horses. Some people find his blue eye freaky as it is not as “warm” as his brown eye. Some others also think he must be blind in his blue eye but he definitely is not. I would be interested to hear from other horse owners with horses with one or both blue eyes. I have met a couple of people with different coloured eyes and my husband has a small brown patch in one of his blue eyes which he has had all his life. I dont know why they’re taking him to Ripley’s, I mean it is perfectly cut in half color wise, but I have seen many paints with this trait. From having a few brown spots in their blue eyes, to having large portions of their blue eyes brown. The unusual part of thing of this picture is that the color is split almost perfectly in half! 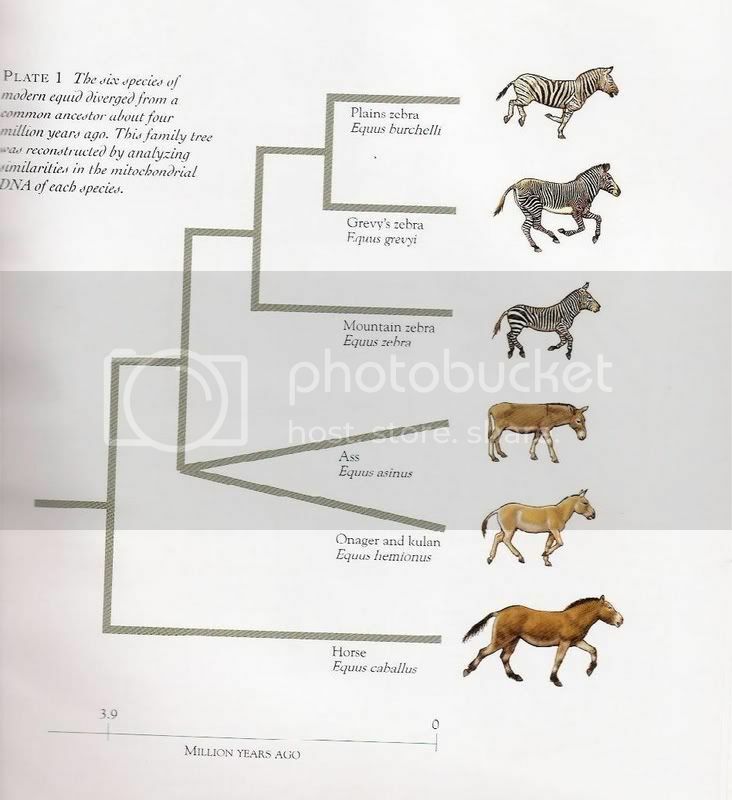 Also, the Peavy line is not a paint line (Jen), it’s a very well known Appaloosa line. I know this horse personnally. And he is as gentle as he is beautiful. And he is just a “Happy Appy”. This horse is located in Tiffin, Ohio and will be 26 in March. I have personally met him – he’s beautiful, unique and loving,. His eye is very unusual. I have a paint mare with one normal brown eye and her right eye looks just like the picture. My trainer also has a paint with two 1/2 blue eyes. I think its uncommon, but completely normal. 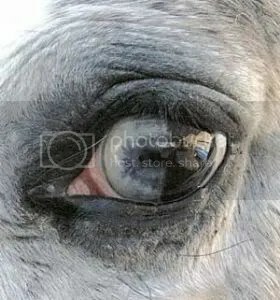 My friend rode a paint horse how had an eye exactly like that. She was going to buy him, but ended up not being able to. That spot in your husbands eye probably isn’t just an odd patch. It may acctually be something else. You your eyes are tottaly amazing! And tell you things about your body you cant see from the outside. If there is a sertain ring around you pupil and its yellow that means your body is taking in sulfur. And if your pupil doesn’t dialate you have adrienal Fatigue(can’t sleep well) And sertian spots in your eyes correspond with parts of your body. (right eye, right side left eye, left side of the body(yes it corrisponds that way) But the patch depinding on what side and where may mean you have alot of built of “junk” in your body! So check out where the spot is, which side it’s on and then check it with a chart. *NOTE: Some people who think the have brown eyes acctually have blue eyes! If you see a funny looking haysey blue around a darker eye its acctually telling you they have blue eyes and there is alot of cleaning needing to be done in to your organs, That can include colin, liver, kidneys, lounges YADDA YADDA. Just thought this might intrest you. Jen you should really read my other message! because you are CLUELESS! I have bred a Quarter Horse with an eye like the one above and he wasn’t a cropout. I now have a couple horses with just one blue eye and one with two blue eyes. So I can’t understand what the big deal is here. I saw a Clydesdale with one eye like this. The white blaze went across the eye, and on the side of the eye where the hair was brown and the skin dark, the eye was brown. On the blaze side, where the hair was white and the skin was pink, the eye was blue. I don’t quite understand Donna and Terry’s comments as the horse has ONE eye that is TWO colors. Not one side blue and one side brown. Anyone who has horses knows that a horse can have one of each color or both blue. The oddity is that it is ONE eye of TWO colors. This is not common trait in horses. My paint mare has a blue line across the top of the iris of her brown eyes. Her scalera is also brown where the eye is brown and white where the eye has the blue line. Her sire had partial blue/ brown eyes. So both eyes have two colors and are spotted. My previous paint had two blue eyes. I just love it. Well, unfortunately this horse is a demon. This is what happens when a creature looks into the eyes of Satan… speaking of… what’s your name again? an appy at my barn had green tinted eyes. I am unsure if they were blue and just clouded as he was blind, but I wasn’t seeing things, my friend confirmed that they did look green. Thanks Sheila. Terry, Donna and Eve don’t seem to get it. The picture is not two eyes – one of each color. It’s one eye that has two colors. Many of us have seen one eye of each color. We all know that. As for Phyoomz, you definitely have a problem. I owned this horse for 19 of his 26 years. He died a few weeks ago and I am heartbroken and devastated. He was a wonderful, predictable, loving and loyal horse. He did not “look into the eyes of satan” or was a “demon”. This horse was a gift from God. He was my soulmate. Only some people will understand this bond. I am saddened and disturbed by your comment. I know he is in heaven waiting. That I am sure of. Hi I know we are talking horses here, but my 3 month old daughter has blue eyes but one of them is one quarter brown similar to Madeline McCann who was kidnapped o/s. I’m just trying to find info about this…. Belinda, talk to your optomotrist or opthamologist. He gave me an explanation of how and why this happens. I had a stock paint with one blue eye, and the other a swirled brown and blue. Very lovely eyes. I don’t have a picture, though, and it wasn’t NEARLY as clean-looking as this picture. More of a splash of brown in the blue – 75%-25%, rather than 50-50 brown and blue. Heterochromia is the scientific name for this. Sectoral Heterochromia, in htis case. Thats ridiculus. a good three of my horses have mixed colours in theier eyes. its mostly causes by white pigment on the face, and in the paints I breed, a mixed blue and brown eye is quite common. Jazz, no eye color is “causes (sic) by white pigment on the face”. One eye on a paint may be blue or one may be brown. This is not uncommon in paints. This horse isn’t a paint nor has a bald, white face. It’s genetic and a mutation that causes it. It is rare to have one eye split the colors. Also, use spell-check. That is neat… 🙂 ya..our new horse Bleu has one blue eye and one brown eye! We have two horses like that. Our filly is a true white homozygous sabino. She has blue on the upper halves of both of her eyes the bottoms are brown. She was tested twice and is SB1 Sb1. and negative for lwos. The other is our stud colt who we think is nSb1 as his full sister was killed because of the breeder knowing nothing on sabinos and thought she was a lethal. so the parents must have been nSb1 nSb1 and he is almost all white. He has a medicine hat color around one eye and a little spot on the base of his tail. I work at a trail ridng stable and there are lost of horses with blue eyes. i go to many shows also so seeing a blue eye is not unisual for me. i love the blue eye gene it is just beautiful! Yes, my horse has one brown and one half blue and brown eye, Not sure of his breed but he is all sorrel with a white blaze! i have an american paint with one golden brown eye (yes golden) and one half blue and half brown eye on the other side! he’s so cool looking! gOLDEN??? wow!!! any pics?? could you post any of you do?? that is so cool! Yes, I had a horse 13 years ago that had one blue eye, the other half brown/half blue…..but his was horizontal, not vertical….he was the smartest horse I’ve ever known. We were one mind and two separate bodies….I miss him more and more each day. He died when he was 6, in 1998, from an aneurysm, while running the poles with my sister. I’ve never gotten over his loss. I love you, Gus! Hmm…i find that most of the horses that have 2 different colored eyes are Pinto’s and PAINTS..WEIRD..WONDER WHY..
hmmm…but our horses blue eye is just pure blue..